Vista was bad. Coming five years after XP, it was heavily anticipated by Windows users who were impatiently awaiting something interesting from Microsoft as Apple’s star was on the rise. Yet when the OS dropped publicly in January 2007, it was immediately reviled by, well, everyone. It was slower than XP, had annoying DRM that grossly restricted what people could do, and removed a ton of features people liked. It is not hyperbole to say it might be the most hated software product Microsoft has ever produced – impressive for the company that gave us Internet Explorer and Clippy. But Vista did one thing very, very right, and 11 years later, it’s never been more in fashion. So what was Vista actually prescient about? Translucent design elements. All the way back in Vista, Microsoft introduced Aero, a design language intended to be a futuristic update to XP. Aero’s most eye-catching feature was the Glass theme, which could make elements throughout the UI transparent. When it was released, it didn’t get more than a passing nod from reviewers who noted it was slick if somewhat irrelevant to the actual performance of the OS. Aero lasted through Windows 7 – Microsoft’s most critically lauded OS until Windows 10. Then in Windows 8, Microsoft introduced a new design language: Metro. Metro actually kicked off another major trend in user interface design: flat design elements. But it still maintained some of the cool translucent effects introduced in Aero. Those translucent effects were carried over to Windows 10 and are easily seen in Edge, the Start menu, and the Notifications panel. They’re so popular, some Windows 10 users are even hacking the OS to add translucency and transparency to everything else! The effect is super noticeable in the start menu. The trend isn’t reserved to Windows. Apple seems to have been inspired, too. That’s because UI designers, like everyone else, are subject to trends. Once upon a time, everyone tried to make their app icons and buttons look rounded because of iOS. Then, after Windows and Android embraced a flatter look, iOS followed suit with iOS 7 in 2013. It also began sprinkling that sweet, sweet translucent design throughout. Look at these pretty menus! 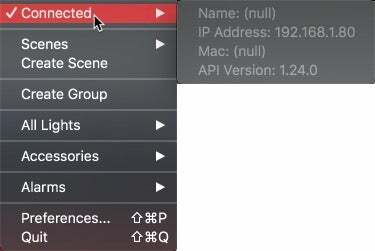 The translucent elements first appeared in Mac OS X Leopard 10.5 as an option to turn the menu bar translucent. That was in November 2007, nearly a year after Vista launched. Apple seriously began showing off translucent elements when iOS 7 added translucent menus and notifications in 2013. MacOS 10.10 Yosemite began embracing translucency a year later. Since then, both Apple operating systems have added more and more translucent elements. The most recent additions come courtesy of the betas for macOS Mojave and iOS 12. That’s because both are adding dark translucent elements, which seem to highlight the translucency effect even more. It is reminiscent of glass that’s been frosted and tinted. It’s very attractive. Sometimes I get distracted into marvelling at it instead of doing work. I mean just look at it in Safari! It’s so good, I find myself using Safari instead of Chrome just so I can watch stuff I’m scrolling through turn blurry as it hits the browser frame. 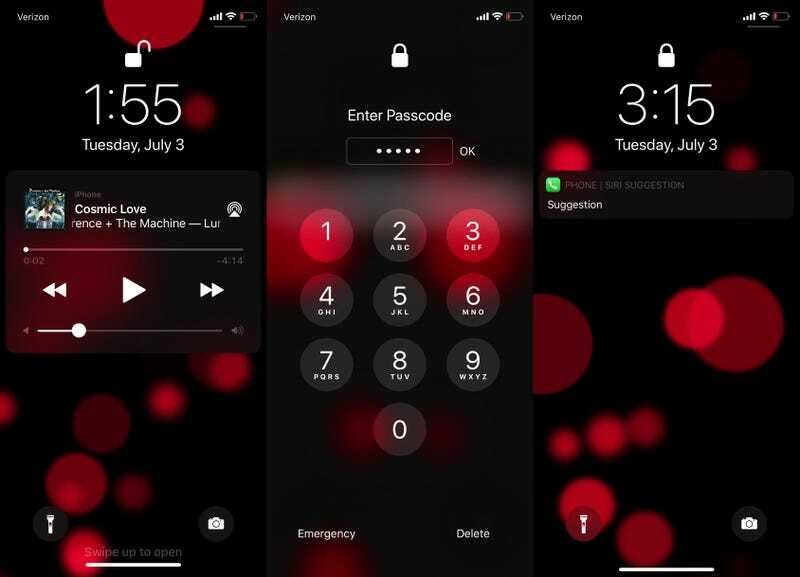 The transparent elements, while not as ubiquitous in iOS, are still present there too – particularly in the iOS 12 beta, which has done away with the garish white panels in the notification centre and embraced a dark and translucent look. 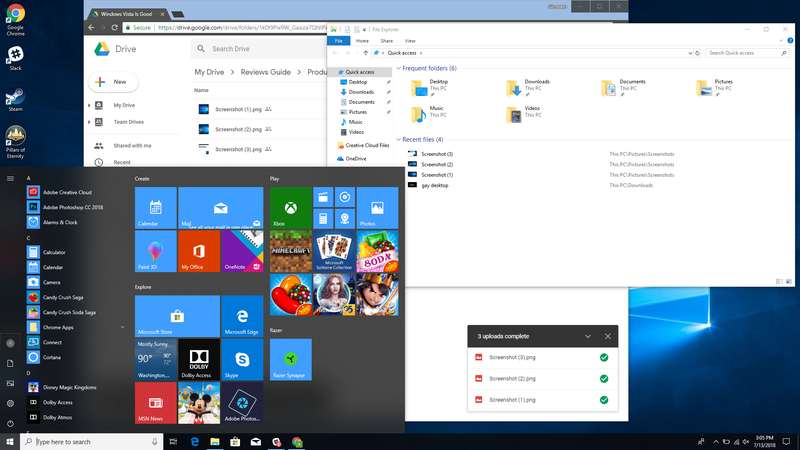 Since Microsoft introduced Aero in 2007, the transparent elements of the Windows UI have evolved and been refined from an operating system’s splashy party trick to an elegant element you might not even notice. Apple has embraced the trend, and even Android is now flirting with translucency. Since Android Oreo was released last year, more and more translucent design elements have appeared throughout Android. It’s especially noticeable in the beta for Android P, the next version of Android expected later this year. 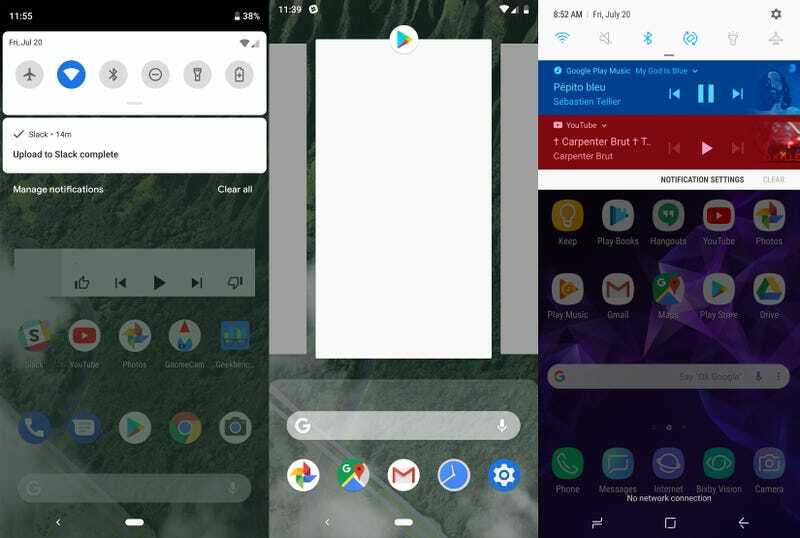 From left to right: The Notification menu in Android P. Top view of open apps in Android P. The notification menu on a Samsung Galaxy S9. Google’s Android, like Apple, is embracing the trend begun with Vista. Which means, yeah, one of the touchstone design ideas in operating systems and apps today didn’t come from Microsoft’s best operating system. It came from its worst.